Price request for RM 35-01 RAFAEL NADALRef. 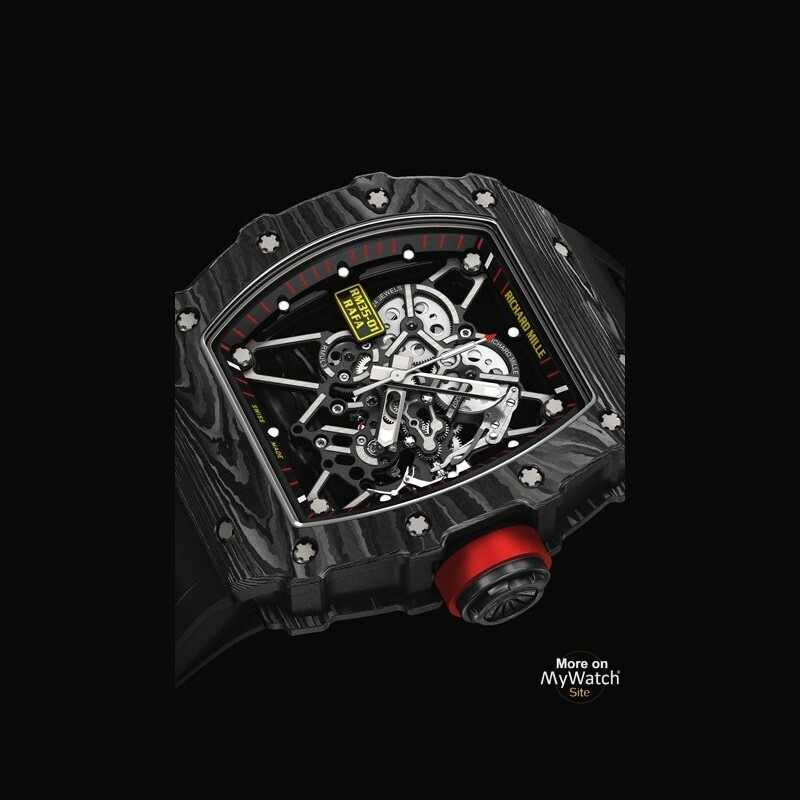 An truly exceptional athlete of tremendous ability and stamina, Rafael Nadal once again provides his name and inspiration to a Richard Mille timepiece, the RM 35-01. This new manual winding wristwatch combines the spirit of the now legendary RM 027 family of timepieces with a case created using NTPT® carbon technology, recently developed by the brand. For Rafael Nadal, 2013 was an incredible year with ten tennis championship titles, including Indian Wells and Roland Garros (for the eighth consecutive year! ), as well as the U.S. Open. Relegated to fifth place after an injury kept him away from the courts for several months, Nadal made a spectacular comeback, retaking the world No. 1 placement in the ATP rankings within the year. The RM 35-01 represents the horological incarnation of this innate strength and will of Rafael Nadal, a man always prepared to ignore any barriers that life might place on his path to success. 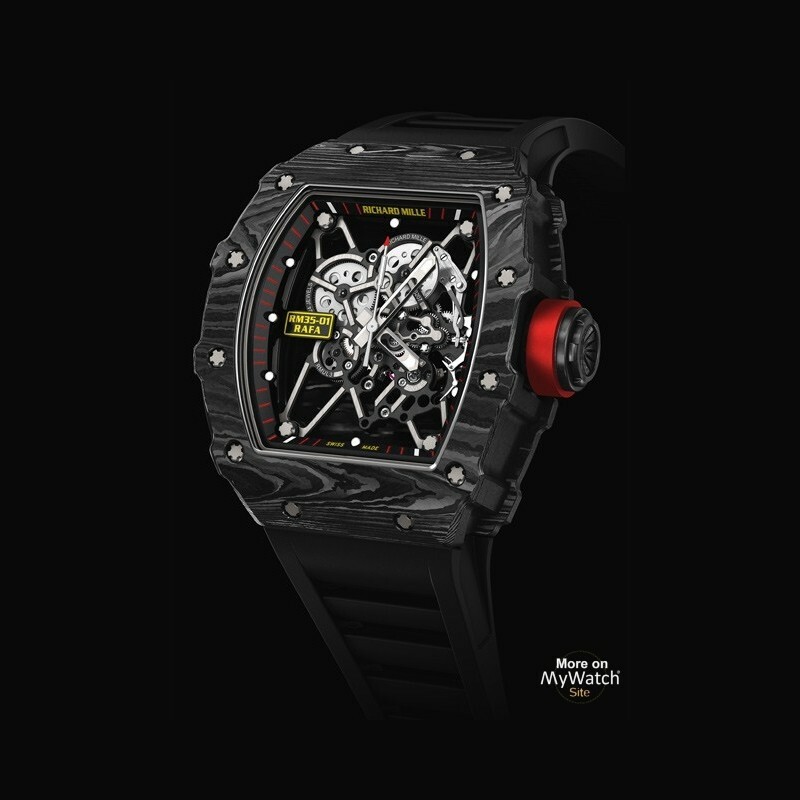 The RMUL3 caliber used in the RM 35-01 offers exceptional impact resistance thanks to the use of grade 5 titanium throughout the highly skeletonized movement design, combined with black PVD surface treatment. 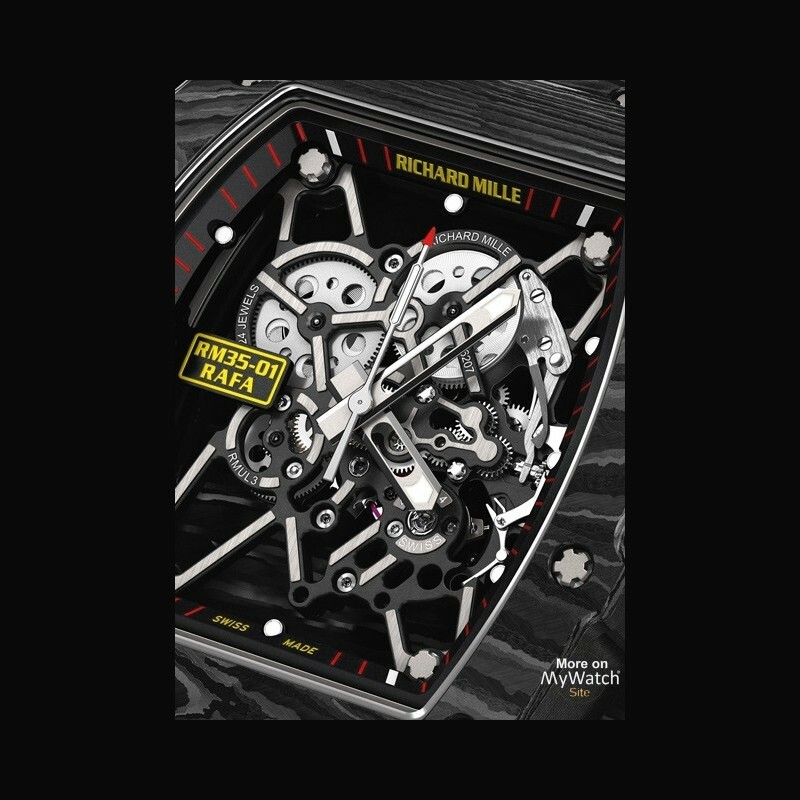 In the competitive challenge the RM 35-01 represents, Richard Mille Watches in Les Breuleux extensively tested the RMUL3 caliber under severe conditions, with extreme shocks applied to the movement exceeding 5000 G’s. 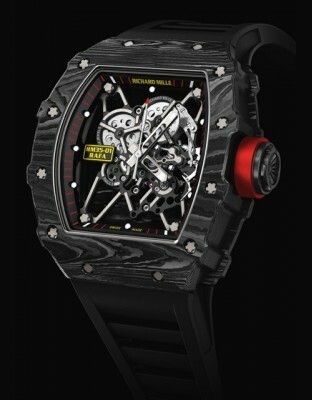 Only the expertise of Richard Mille in the machining of new materials combined with unique design characteristics allowed such tests to be completed with such ease. The skeletonised manual winding caliber RMUL3 with its Swiss anchor escapement uses 24 jewels and a free sprung balance beating at a frequency of 4 Hz. 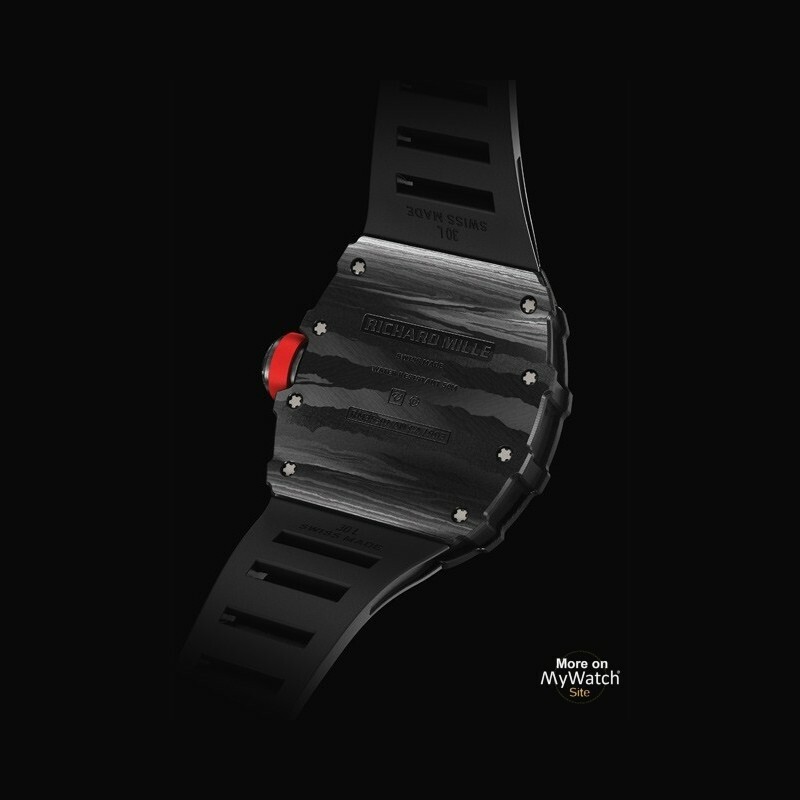 With a power reserve of 55 hours provided by a double barrel system, this extraordinary movement, weighing a mere 4 grams in total, is mounted within a unique case created from NTPT® carbon. This high-tech material consists of multiple layers of woven carbon filaments with an average thickness of 30 microns, stacked with a change of fiber orientation equaling 45° between every 2 successive layers. 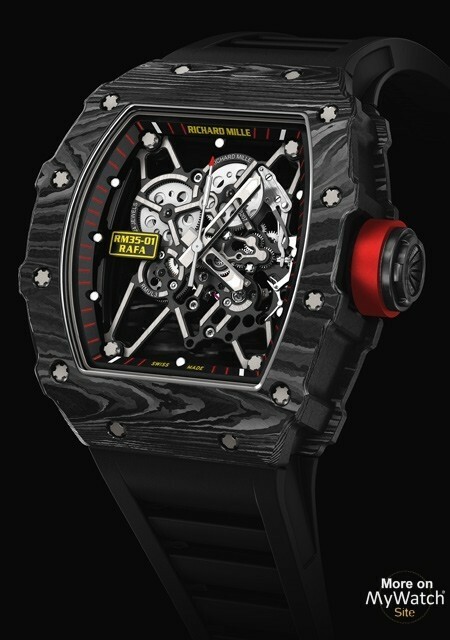 Not only does this make each case exceptionally rigid in every direction; it also means that on a visual level every timepiece is totally unique, closely resembling the surface of finely crafted Damascene steel, due to the complex and aleatoric carbon structures that are slowly revealed during the processes of milling and finishing. On every level, the RM 35-01 represents the purest embodiment of toughness and elegance under stress; a remarkable 21st century timepiece with a movement and case design unparalleled in the world of Haute Horlogerie.